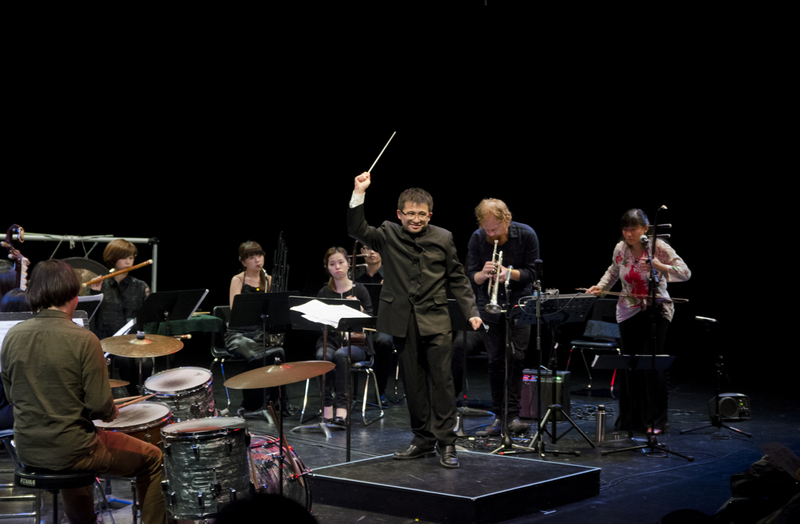 Lan Tung’s Giant Project features the collaboration between Vancouver band Proliferasian and Taiwan’s Little Giant Chinese Chamber Orchestra, following their successful performances at the 2014 Sound of Dragon Music Festival, 2015 Vancouver International Jazz Festival, and 2018 Festival International De Musique Actuel in Victoriaville, QC. 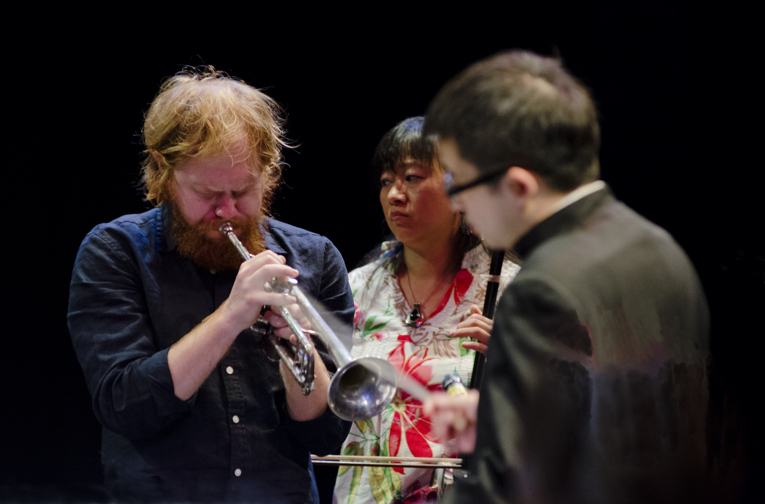 Bringing together improvisers and classically trained musicians, combining jazz and Chinese traditional instruments, the resulting sound is unique in the world. 1) Combining Proliferasian and Little Giant Chinese Chamber Orchestra, it is a unique chamber orchestra of Chinese and jazz instruments. Lan Tung’s original compositions for the orchestra transform Chinese tradition, such as ancient melodies, operatic rhythms, classical poetry, and narrative vocals, with avant-garde improvisation and jazz. 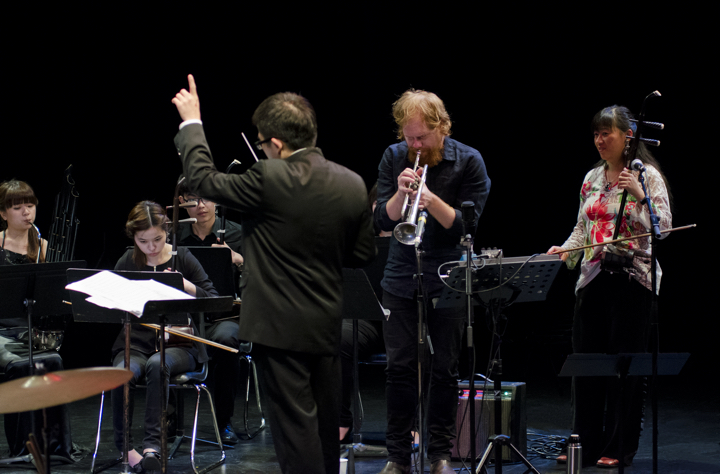 Guided by graphic notation and conduction gestures, the orchestra and its soloists interact in spontaneous conversations. The size of the ensemble is flexible, depending on the budget and venue size. 2) Little Giant Chinese Chamber Orchestra is Taiwan’s premiere ensemble. 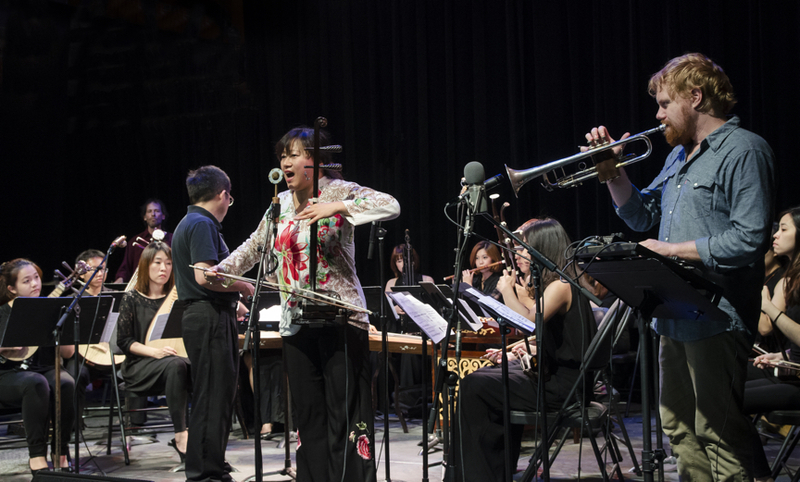 Performing both traditional and contemporary music from Taiwan on traditional Chinese instruments, the ensemble is known for its diversity and virtuosity. The size of the touring ensemble is flexible. 3) Proliferasian and soloists of Little Giant improvise spontaneous compositions, where the east and the west meet without boundaries. Little Giant Chinese Chamber Orchestra 2016 Canadian Tour will include 7 members on this instruments: dizi, sheng, erhu, pipa, zheng, daruan, and conductor Chih-Sheng Chen.